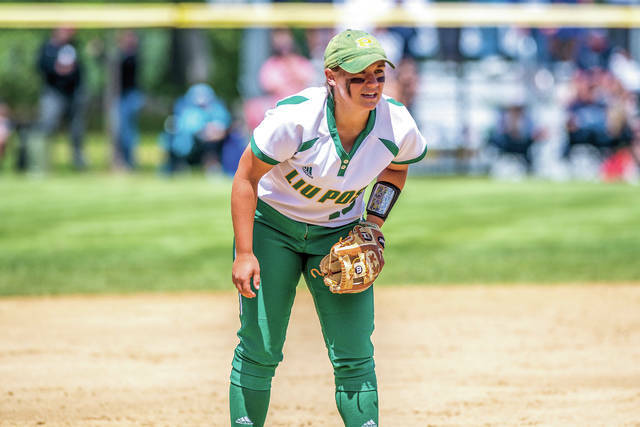 Wheelersburg graduate and current Long Island University-Post standout Bre Klaiber hit .383 this past season, posted an OPS of 1.018, played in and started all 57 games for LIU-Post in 2018, and led the team in doubles (16), walks (22), on-base percentage (.458) and defensive assists (155). Transitioning to college life off of the field of play for a student-athlete, let alone on, is very difficult. It’s even more difficult to do so when said student-athlete is dealing with an injury. 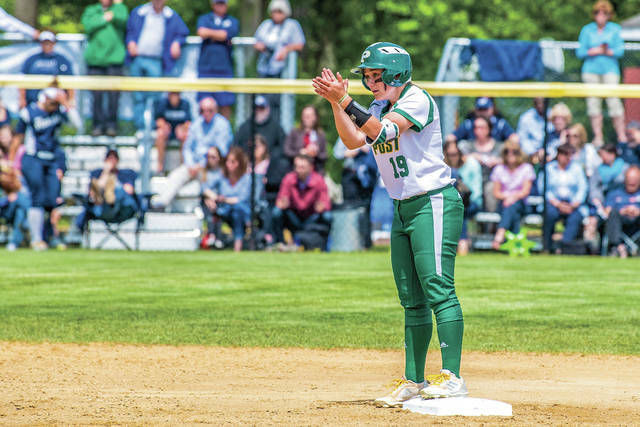 But if Bre Klaiber’s inaugural campaign with the Long Island University-Post (N.Y.) program was a test of her will, the 2017 Wheelersburg graduate, who starred at middle infield for the Lady Pirates, passed the test with flying colors. The standout freshman not only played in, but started, all 57 games for the NCAA Division II perennial powerhouse. The standout freshman posted a .383 batting average — second on the team. The standout freshman led the team in doubles (16), walks (22), on-base percentage (.458) and defensive assists (155). And last, but not least, the standout freshman accomplished all of those goals while leading her team to a 38-19 record and an NCAA Division II Super Regional berth — all while dealing with a torn rotator cuff that forced the freshman to play through intense amounts of pain. Would Klaiber trade this past season’s experience for anything? The warrior inside Bre, however, is certainly a quality that her father, Bill, is very familiar with. The elder Klaiber, a baseball standout at Ironton and then West Virginia State after that, recalled Klaiber, just last year, having surgery on a broken finger where the bone was so badly broken that said bone was sticking out of the nail bed before Wheelersburg’s run to the OHSAA Division III Championship Game in 2017. Before her time at LIU-Post, Klaiber, who starred at Ironton before transferring to Wheelersburg in her junior season of high school eligibility, immediately made an impact for the Lady Pirates as the 5-5 infielder, along with Michal Cunningham, Kalle Coleman, Faith Howard, and others, guided the Lady Pirates to the OHSAA Division III State Championship in 2016 as Wheelersburg won six of its seven games — including the state final, a 10-3 victory over Canfield South Range, by four runs or more. Klaiber then combined with Coleman, Howard, Sarah Claxon, Kasey Bergan, Taylor Fannin, Christen Risner, and Brittany Swim, in addition to other key cogs, to aid Wheelersburg in its run to the OHSAA Division III State Finals the following season, and finished her high school career by earning three All-Conference honors (one Ohio Valley Conference, two Southern Ohio Conference) and four All-Southeast District accolades in the sport of softball. Bre’s personal success and growth in the game, however, is something that her and her father credit largely to Teresa Ruby, who has led Wheelersburg to a regional berth in each of her five seasons with the Lady Pirates. Ruby’s relentless work ethic, and the intense practices that take on a professional club-level type look to them, certainly paid off for Klaiber, who signed with the Pioneers’ softball program in November 2016, in a big way. However, as Klaiber had already learned during her senior year of high school, the game doesn’t always come without pain. During the early portion of the 2018 season, Klaiber noticed that it was becoming increasingly difficult to not only throw with her right arm, but to even lift it in a motion to throw. As her freshman campaign got rolling, an evaluation showed that Klaiber was playing with a torn rotator cuff. The amazing part, you ask? How about the young, talented third baseman continuing to play through the intense pain, all season long, without missing a single game. After hovering between a respectable mark — which sat from the .270 to .320 range throughout the Pioneers’ first 10 games of the year — Klaiber’s production took off at the plate following a 5-for-7 effort between a pair of contests against American International (Mass.) on March 17, which rose her average to a .366 clip. For the rest of the season, Klaiber, whose average never dipped below .346 the rest of the way, proved to be well ahead of the curve of most players her age as the freshman helped lead LIU-Post to a 34-13 record over the squad’s final 47 games after the Pioneers went 4-6 to start the season. Included in that torrid place was the 2018 East Coast Conference Championship, which LIU-Post won by taking three of four games that it played in the tournament, including a 4-1 victory over rival Molloy (N.Y.) College in the ECC Championship Game, and three straight victories to begin the NCAA Division II Softball Championships, which allowed the Pioneers to take home the NCAA Division II East Region Championship. 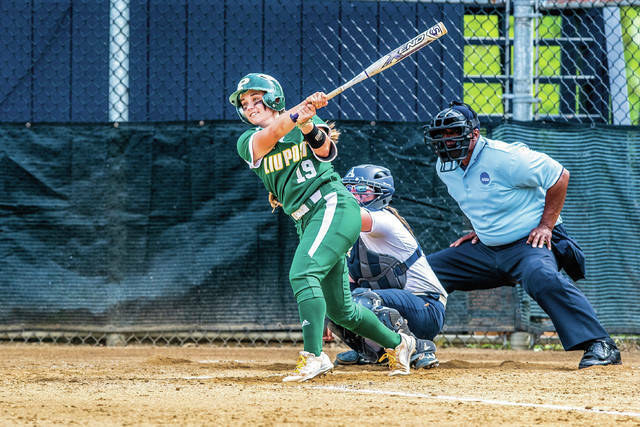 For her efforts in leading LIU-Post to the NCAA Division II Super Regionals, Klaiber, with her aforementioned .383 average, along with five home runs, and 38 RBI, was named as the East Coast Conference’s Rookie of the Year for her efforts. Additionally, Klaiber was named as a NFCA/Schutt Sports National Freshman of the Year finalist, as well. The success of the unit, however, is one that Klaiber credits unselfishly to Jamie Apicella. After all, as Klaiber is quick to point out, Apicella, with 775 wins, a .704 winning percentage, nine conference championships, and four NCAA Division II World Series appearances in 20 seasons according to the LIU-Post’s athletic website, is among the best in the business. Personally, Klaiber credits her success to the elders who comprise the unit, such as super sophomore Abbey Fortin, a .413 hitter this past season. Fortin, who used her strong 6-0 frame to belt 19 home runs and 65 RBI — all team-highs along with the batting average — was named as the ECC Player of the Year, the ECC Tournament’s Most Outstanding Player, and last, but not least, a consensus NCAA Division II All-American. With eight of its nine starters — Klaiber among them — back for 2019 — the potential to match Apicella’s banner year, that being a 50-11 mark with an ECC Championship and a NCAA World Series berth, is certainly there. However, to accomplish the latter, a goal that hasn’t been obtained in five years, Klaiber understands that it will take more than just replacing the starting production left behind from 2018 in order to reach those heights. And that may very well be the very best quality in a student-athlete that is full of winning intangibles.